Chris is the full-time music director of Holy Family Catholic Church, a parish tucked away in a quiet residential area of Portland. 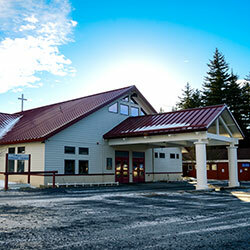 Home to a school and more than 400 families, the church buzzes with energy on Sundays. During the Sign of Peace, elders reach across the aisle to embrace small children, and teens clasp hands with their parents. This is a parish where keeping everyone — from children to seniors — involved and engaged in the liturgy is crucial to their Catholic formation. That’s where Chris comes in. Each week, he has the important responsibility of choosing music from Spirit & Song that brings parishioners of all ages into full, active and conscious participation. 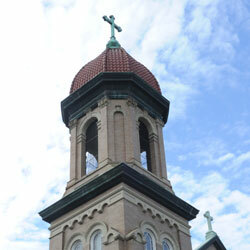 Learn how Holy Family united their multicultural parish with Spirit & Song. 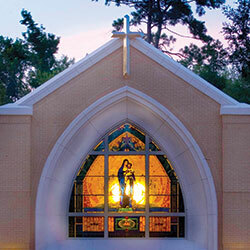 Learn how Holy Family united their multigenerational parish with Spirit & Song. Also available as a digital edition.